Uninsured patients with traumatic injuries, such as car crashes, falls and gunshot wounds, were almost twice as likely to die in hospital as similarly injured patients with health insurance, according to a troubling new study. The findings by Harvard University researchers surprised doctors and health experts who have believed emergency room care was equitable. “This is another drop in a sea of evidence that the uninsured fare much worse in their health in the United States,” said senior author Dr. Atul Gawande, a Harvard surgeon and medical journalist. The study, appearing in the November issue of Archives of Surgery, comes as Congress is debating the expansion of health insurance coverage to millions more Americans. It could add fodder to that debate. The United States is the only developed nation that does not have a comprehensive national health care plan for all its citizens, leaving about 50 million of America's roughly 300 million people uninsured. 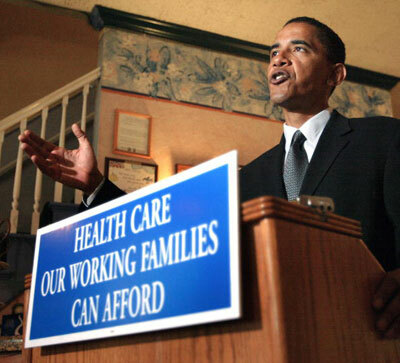 President Barack Obama, who took office in January, campaigned on a promise of offering affordable health care to all Americans. The researchers couldn't pin down the reasons behind the differences they found. The uninsured might experience more delays being transferred from hospital to hospital. Or they might get different care. Or they could have more trouble communicating with doctors. The hospitals that treat them also could have fewer resources. Dr. Gawande favours health care reform and has frequently written about the inequities of the current system. The researchers took into account the severity of the injuries and the patients' race, gender and age. After those adjustments, they still found the uninsured were 80 percent more likely to die than those with insurance-even low-income patients-insured by the government's Medicaid program. Some private hospitals are more likely to transfer an uninsured patient than an insured patient, said Dr. Lavonas, who wasn't involved in the new research. Federal law requires hospital ERs to treat all patients who are medically unstable. But hospitals can transfer patients, or send them away, once they're stabilized. A transfer could worsen a patient's condition by delaying treatment. The researchers analysed data on nearly 690,000 U.S. patients from 2002 through 2006. Burn patients were not included, nor were people who were treated and released, or dead on arrival. In the study, the overall death rate was 4.7 percent, so most emergency room patients survived their injuries. The commercially insured patients had a death rate of 3.3 percent. The uninsured patients' death rate was 5.7 percent. Those rates were before the adjustments for other risk factors. The findings are based on an analysis of data from the National Trauma Data Bank, which includes more than 900 U.S. hospitals.